Hello there! My name is Sean Brown, better known as ChemicalBurns156, a frequent contributor on the r/MTGLegacy subreddit with my monthly This Month in Legacy articles. Well, that's about to change. You can now expect some weekly Legacy articles from me here on MTGGoldfish. So welcome to This Week in Legacy! For my first article, I'll be introducing the fundamentals of Legacy and what it's all about. There's no better time to move into Legacy with Eternal Masters having just been released, as now staples such as Force of Will and Wasteland are in greater circulation. Furthermore, there's just been a huge weekend of Legacy action in Prague and Columbus that I'll be using as a framework for exploring the ins-and-outs of the format. So let's get started! Brainstorm is easily the card most players think of when they think of Legacy. 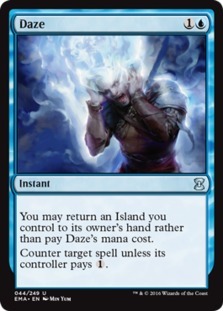 In combination with fetch lands, Brainstorm allows blue players to draw three cards, put two useless cards back and then shuffle them away, giving them a huge edge in terms of consistency. Furthermore, Brainstorm pushes the format to be more distinguished by virtual, rather than raw, card advantage. Other so-called cantrips such as Brainstorm's close cousin, Ponder also perform similar roles. 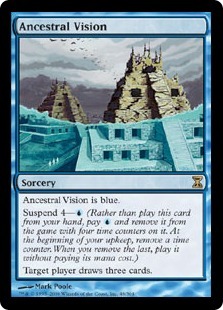 Force of Will is the other blue card that defines Legacy. Force of Will is the sheriff that keeps in check any combo decks from killing on turn one. As a result, combo decks must respect Force, incorporate their own forms of disruption, and slow down. This standoff results in other, non-blue decks being able to flourish, as ultra-fast combo decks that would prey on them are too fragile. Thanks to Force of Will, diversity in the format can exist. 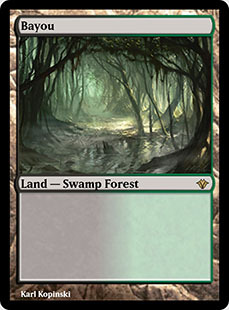 The format is also defined by its lands. 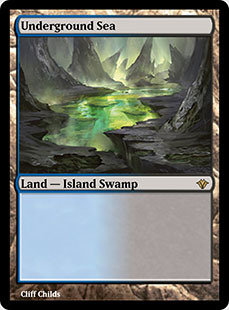 Mana bases are defined by fetch lands, similar to Modern, but instead of shock lands they fetch the original ten dual lands, who produce two colors of mana unconditionally. Unfortunately, with these Reserve List cards in the format, this typically leads to a high barrier to entry for paper play. They are pretty affordable on Magic Online, however. No shock damage means no punishment, right? Wrong. Say hello to Wasteland. Another format-defining land, this time thanks to its ability to hinder the development of the typically greedy manabases of Legacy, who often reach into three (or even four!) colors thanks to the dual lands. Wasteland is pivotal in decks utilizing mana denial, but also keeps mana bases in check and ensures that basic lands still have some value. There's also quite a few deck-specific pillars of the format, such as Delver of Secrets and Deathrite Shaman, combo pieces like Show and Tell, or powerful removal like Swords to Plowshares or Abrupt Decay. I think more valuable is to look at some of these pieces and see how they fit into current popular deck archetypes, as well as noting how these decks are skewed by the staples that we've outlined above. 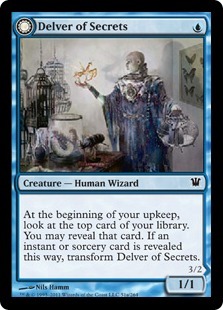 The Delver decks typically aim to come out of the gates aggressively with a turn one threat, such as Delver of Secrets, which one can ride to victory by prodding the opponent in the air three damage a turn. All the while the rest of the deck counters the opponent's relevant plays with Force of Will and Daze, or cuts them off of mana via Wasteland and Stifle on fetch lands. They also employ staple Brainstorm and additional cantrips such as Ponder to add consistency and allow these decks to run very lean on lands. These decks also show a very greedy mana base typical of Legacy, running no basic lands, since doing so would hinder their ability to deploy threats, removal, and cantrips effectively. These decks are quite aggressive (there are few true 'aggro' decks in the format and tempo decks somewhat fulfill that role), and to complement Delver, these decks are also filled with efficient creatures such as Deathrite Shaman and Tarmogoyf and some of the best removal in the format, such as Lightning Bolt and Abrupt Decay. The most popular of these strategies currently is Grixis Delver (somewhat of a 3.5-colour Delver deck, as Green is used for Deathrite's tertiary ability), which combines the aggressive Delver draws with Lightning Bolt, a midrangey backup plan involving Deathrite Shaman, a swarm of Elemental tokens via Young Pyromancer, and hand disruption in Cabal Therapy. The deck can also power out Gurmag Angler very quickly, which is generally the biggest creature on the table in Legacy. That's not to say BUG and RUG Delver don't have the tools to be powerful in the current Legacy metagame, however. We'll discuss those and other variants in an article on the Delver macro-archetype in future. If Delver somewhat occupies the aggro role in Legacy, then on the extreme side of control is Miracles. This deck abuses Sensei's Divining Top to change Terminus into a one-mana, instant-speed Wrath of God and makes Counterbalance a powerful lock piece. Remember that Brainstorm and other cantrips such as Ponder define the format, along with threats that hover around two or one mana. A Top and Counterbalance means all one-mana plays can be locked out via flipping Top back on the top of one's library, and if a two-mana spell such as a Snapcaster Mage or Counterspell are floating on top, then these cards can be shown as well to lock out most Legacy decks. Getting locked out of playing Magic is something players have to accept as part of the format . . . though format additions such as Abrupt Decay have assisted in remedying these problems. The rest of the deck is filled out with Swords to Plowshares, the best White removal in the format, Snapcaster Mage, Jace, the Mind Sculptor, and the usual suite of cantrips and Force of Will for consistency and defense against combo, respectively. The most recent incorporation into the deck is Monastery Mentor, who surfaced as a win condition over Entreat the Angels. Mentor can go pretty berserk with two Sensei's Divining Tops in play. Also notable is how the deck's mana base is warped by the Legacy format. 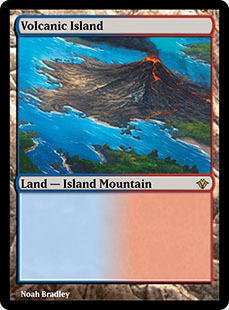 It is primarily filled with basic lands to avoid Wasteland, and splashes Red mana for sideboard Red Elemental Blast effects due to the dominance of blue in the format. Nicholas Tholance touted a very streamlined version of Miracles that he took to second place in Grand Prix Prague. 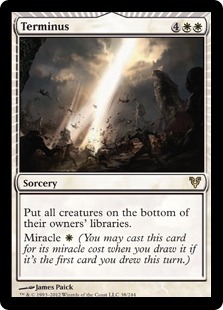 The most popular midrange strategy to occupy the format at the moment is the Cascade of value known as Shardless BUG. Like typical midrange decks, such as Jund in Modern and other historical 'Rock' decks, it disrupts the opponent with discard, beats down with midrange value creatures such as Shardless Agent, Deathrite Shaman, and Baleful Strix, and controls the board with Abrupt Decay and planeswalkers such as Liliana of the Veil and good ol' Jace. However, one of the deck's crucial interactions is its ability to draw mountains of cards via Shardless Agent Cascading into Ancestral Vision. This package also sufficiently increases the deck's blue count to support Force of Will, and this turn zero combo protection has given Shardless the nod over its non-blue brethren like Jund or Abzan in the format. Nonetheless, Shardless still has trouble against the combo strategies of the format, especially due to the deck building restrictions Shardless Agent imposes on the deck. 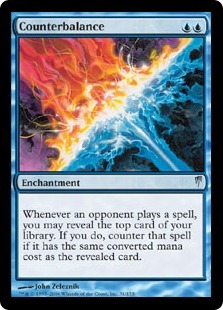 Counterspells such as Spell Pierce or Flusterstorm can be lackluster when flipped off a Cascade. Also notice Shardless utilizes a typical 'goodstuff' manabase, filled with non-basics and utility lands, only making room for two basic lands to play around Wasteland. Lukas Blohon's list that came 6th at Grand Prix Prague is a good example of a Shardless list with all the typical components. So I've spoken a lot about blue decks, but as I've mentioned, thanks to Force of Will non-blue strategies can exist too. These decks typically fall into fair, midrange strategies such as Jund and Junk style decks to prison archetypes, such as Death & Taxes to the most popular non-blue deck, Eldrazi Stompy. The Legacy Eldrazi deck exists because of its mana base. 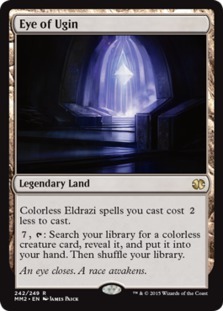 It does not feature any of the dual lands, but instead features what are known as the 'Sol lands' (named after Sol Ring) Ancient Tomb and City of Traitors, as well as the Eldrazi lands Eye of Ugin and Eldrazi Temple. These Sol lands allow Reality Smasher and Thought-Knot Seer to be accelerated out very quickly, along with their cohort of curve-fillers such as Endless One, Matter Reshaper, and Eldrazi Mimic. 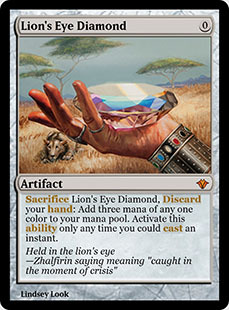 Although these are all Standard cards, one of the most crucial pieces of the deck and of many prison decks that existed before the Eldrazi is Chalice of the Void. Chalice punishes the Legacy format severely for being so concentrated on one mana spells in a similar way to Counterbalance. It can be accelerated out on turn one via an Ancient Tomb or City of Traitors, while the Eldrazi deck, with its high curve, is unhindered. This asymmetry also makes the Eldrazi deck quite strong against combo decks, with Chalice wrecking most cards and Thought-Knot Seer taking out the rest. We also haven't analyzed any of the combo decks of the format! Although combo can come in many forms in Legacy, from the tempo-combo of Infect to the two card combo that Show and Tell into Emrakul, the Aeons Torn enables, the most classical and popular combo deck in Legacy is Storm. Like its brethren across the ages, Storm decks aim to chain together a bunch of spells, typically mana producing spells such as Dark Ritual or Lion's Eye Diamond and uses a Storm payoff like Tendrils of Agony (via Infernal Tutor or Dark Petition) to finish off the opponent. Also notable is one of the deck's core interactions: cast Infernal Tutor and while holding priority to break Lion's Eye Diamond, changing these cards into Demonic Tutor and Black Lotus, respectively. The rest of the deck, other than mana and business spells, is filled with the typical suite of consistency enablers in Brainstorm and Ponder. 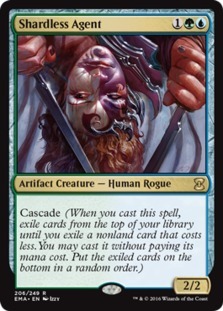 Duress is powerful against the blue decks of the format, ripping away the Force of Wills that have to be respected, while Cabal Therapy can also clean up the rest of the disruption, especially in conjunction with Gitaxian Probe to make sure Therapies aren't done blind. Although I've talked about Storm in a broad sense, the deck actually varies quite a bit. 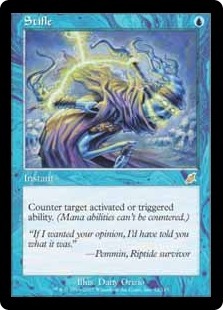 Ad Nauseam Tendrils (ANT) is the most common variant, which, despite the name, is centered more so on using Past in Flames as one of its engine cards for a kill. The Epic Storm (TES) looks similar, but incorporates more fast mana and Burning Wish to kill quicker, and sacrifices some stability. TES is also seen as the better Ad Nauseam deck due to its cheaper acceleration, meaning Ad Nauseams are much less painful. Notice that his list, although within the ANT family, is often dubbed 'Grinding Station,' due to its ability to play a longer game. 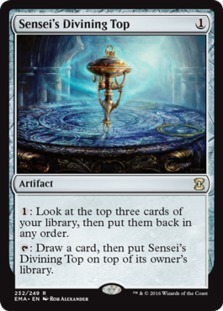 The Sensei's Divining Top, the two Past in Flames in the main, and the additional copies of Tendrils in the sideboard all imply lengthening the game, making land drops, and drawing into more business. This strategy is particularly effective against decks such as Miracles, and Rodrigo's finals match is a sight to behold, especially in how he approaches the matchup. Due to the power of Brainstorm and the defense against combo Force of Will provides, the format is quite blue-centric. Because of Force of Will's ability to keep fast combo in check, non-blue decks can exist and thrive and have their own defense against combo that is very effective due to the slowing down of combo decks to respect Force of Will. 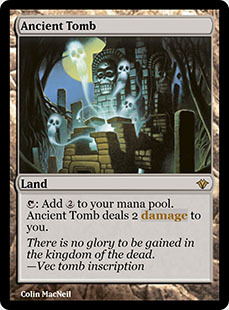 Legacy mana bases are typically greedy and constructed primarily of fetch lands and dual lands. Many decks run no basic lands, but this opens up decks to be crippled by Wasteland. The format is centered upon cards that are very cheap and efficient, particularly non-creature spells costing one or two mana. Innocuous looking lock pieces like Chalice of the Void, Counterbalance, and Thalia, Guardian of Thraben are very crippling to the format. Expect a deeper dive into macro-archetypes in the weeks ahead, updates on the recent Legacy technology, and monthly metagame breakdowns from Online and Paper.